If you are an SME association or SME organisation, a research performer or an individual SME: once you are interested in applying to CORNET, you may ask yourself a thousand questions about what to do next. It is easier than you might expect because CORNET is designed to provide low barriers and unbureaucratic procedures so you can focus on the reason you are applying: to perform an international Collective Research project to solve SME problems. The CORNET project path guides you through all the main steps, providing assistance and further information. To get all the details, please download the full CORNET guidelines (pdf) for the current call. If your country is not yet a CORNET partner, please get in touch with the CORNET Coordination Office. We will support you to set up a CORNET pilot project. 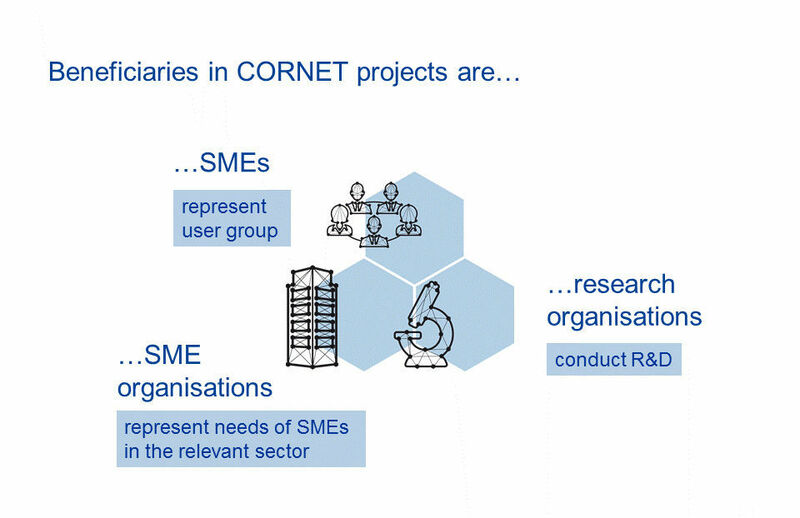 The CORNET approach is bottom up, inviting SME associations or groups from all industrial sectors dealing with any technology to submit proposals. The only requirement is that the project idea needs to follow the rules of pre-competitive Collective Research. Always contact your national/regional funding organisation first. Every project participant will be funded by the funding organisation of their country or region and they can help you understand the funding criteria of your national/regional funding programme as well as advise and assist you with your application. CORNET provides support in finding partners for your project idea. Please check out our partner search options. 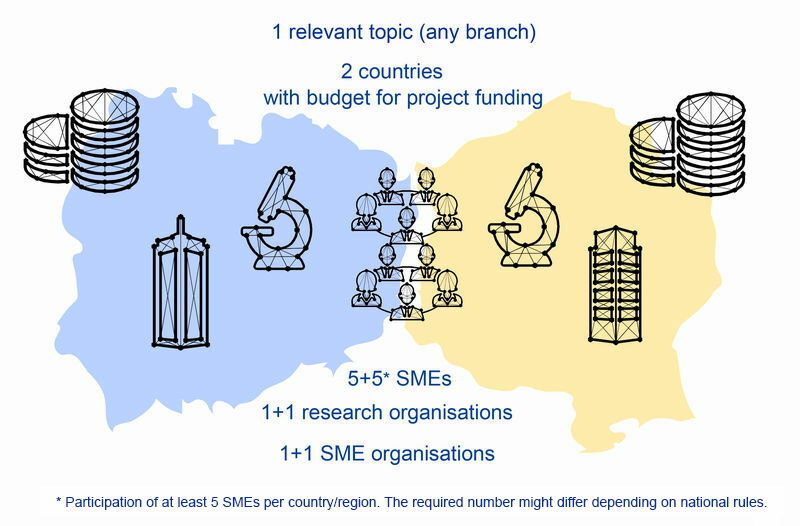 Every CORNET project consortium consists of three pillars in each country/region: SME association or organisation, research performer and SME user committee (with a minimum of 5 SMEs per country/region; the required number might differ depending on national/regional rules). One of the participating countries needs to take the lead as project coordinator. For detailed information about the CORNET project consortium download the full CORNET guidelines (pdf). The project consortium writes a common proposal in English as given language. One of the participants, preferably the project coordinator, is responsible for submitting the complete CORNET application by the stated deadline via the CORNET Submission Tool. In addition to that, every participant needs to submit national application documents following national/regional funding rules. Both parts of the application have to be submitted at latest until the CORNET deadline, even if national/regional rules allow a later submission. The time line for the next available call as well as the CORNET proposal documents can be found in the section Calls for Proposals. Once the call is closed, the CORNET coordination office coordinates the eligibility check as well as the evaluation process together with the CORNET partners. It is recommended that the evaluation guidelines should be considered before submitting a proposal.